On my other website I already started writing a little about Spain especially this town. The last years I have been many times in a little town called Nerja. It´s about 50 km east of Malaga. The town is well known, because of its caves which is the third most visited object of interest in Spain after the Prado in Madrid and the Alhambra in Granada, which is about an hour away from Nerja. At my last visits I used to stay in a Hostal called Hostal Casa Mercedes. 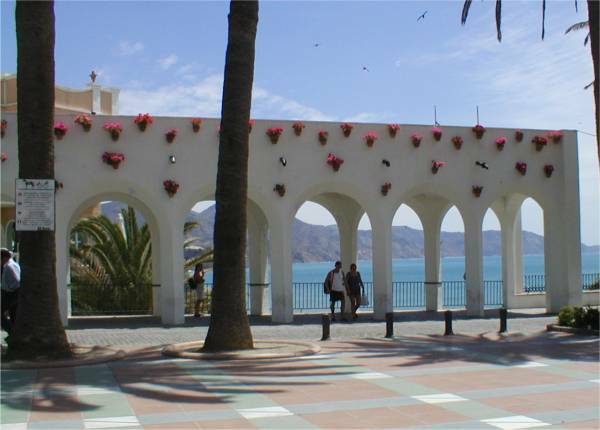 From here it´s a walking distance to the town and only a few hundred meters to the beach which is very nice to visit. In the low season the prices a very good so you have to stay there.